M101 - Gates of Heaven Memorial with Kerbs, 2 Vases and a Sloping Front Tablet with green glass chippings to centre. 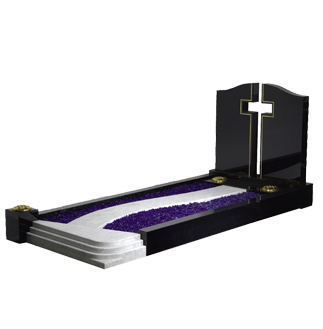 Memorial shown in Black Granite - all colours available. M102 - Half Round Full Memorial with Kerb Set and central Cover Slab. 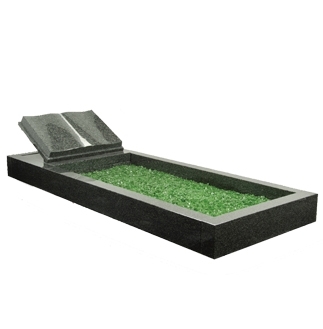 Memorial shown in Dark Grey Granite - all colours available. M103 - Bible Memorial with Kerb Set and green glass chippings to centre. Memorial shown in Dark Grey Granite - all colours available. M104 - Open Book Memorial with Kerbs, 2 Vases and blue glass chippings to centre. 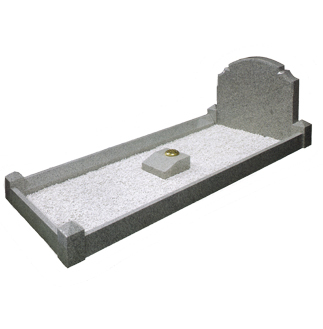 Memorial shown in Dove Grey Marble - Marble colours only. M105 - Half Round Memorial with Kerbs and Curved Central Cover Slab. 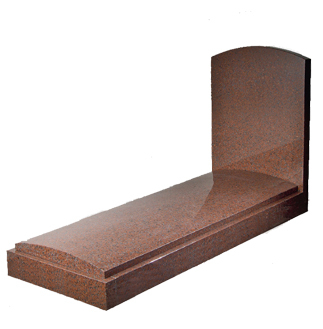 Memorial shown in Ruby Red Granite - all colours available. 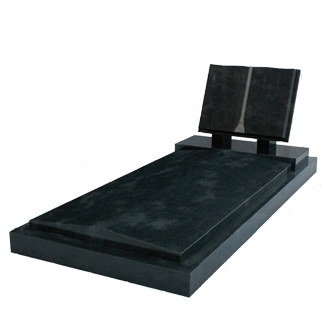 M107 - Bible Memorial with Kerbs and Peon Shaped Cover Slab. 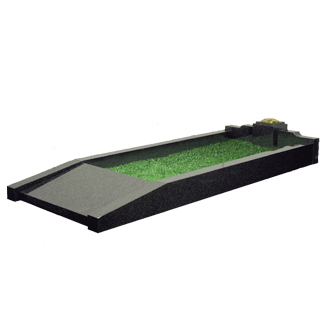 Memorial shown in Black Granite - all colours available. M108 - Ogee with Cross Cut-out Memorial with Kerbs and One Vase. Path and Steps in White Marble with blue glass chippings. 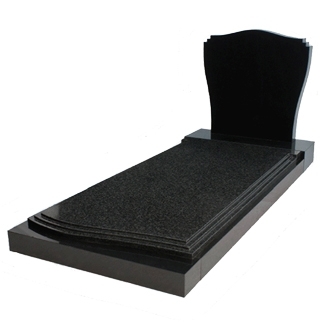 Memorial shown in Black Granite - all colours available (Steps & Path in White Marble Only). M109 - Ogee Memorial with Kerbs and Cover Slab. Gilded design of Cross & Roses optional. 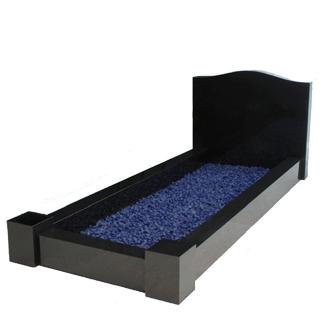 Memorial shown in Blue Pearl Granite - all colours available. M110 - Bible Memorial with Kerbs, 2 end pillars and green glass chippings to centre. 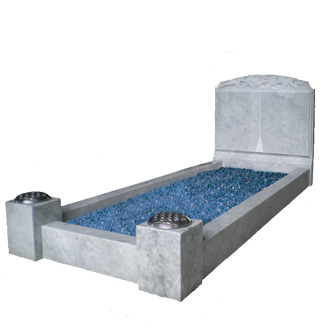 Memorial shown in Carrara Marble - all colours available. M111 - Ogee Memorial with Kerbs, 2 end pillars and blue glass chippings to centre. 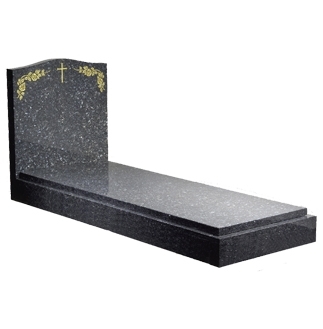 Memorial shown in Black Granite - all colours available. M112 - Kerb Set with Vase and a Sloping Front Tablet, with green glass chippings to centre. 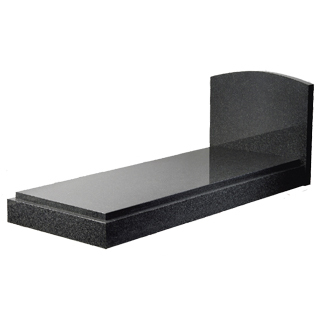 Memorial shown in Black Granite - all colours available. M113 - Half Round with Ogee Shoulders with Shaped Kerb Set. Small Tablet Vase to centre, with white marble chippings. 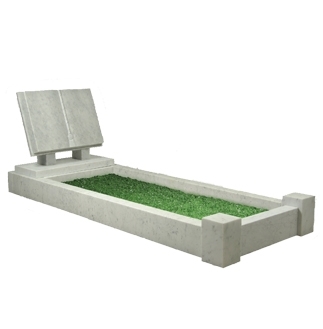 Memorial shown in Karin Grey Granite - all colours available. M114 - Ogee with Double Check and Shaped Sides, with Kerbs. Cover Slab shaped and stepped. 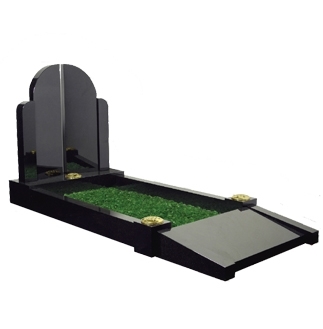 Memorial shown in Black Granite - all colours available.